Selling your Spanish property can be a daunting and time consuming task, this is why real estate agents are to be found in every city to take some of the work off your hands, but even the best real estate agent will have trouble to sell property in Marbella or any other area in the Costa del Sol if you haven’t done some of the footwork yourself. There are many things you can do to sell property in Marbella a little easier so we have compiled a list below to ensure you get the best chance on any market, but specifically in Marbella, Costa del Sol, where property sales is booming so you need to work on it to stand out from the rest to make sure your property sells faster. The first impression is what counts in any home sales and what you think might be the best feature of your home, your potential buyers might think the exact opposite, so find out what your potential home buyers in Marbella might be looking for and make sure this feature stands out when they visit. A well-maintained property like this one in Manilva will sell faster than a property that is less well maintained. cleaned up? Is your gate working? Do your hedges look nice and trim? What about the windows, are they clean and sparkling? And your pool, if you have one, does it look inviting and ready for a splash, even in winter? Making sure your property looks great from the outside will draw in more potential buyers making them want to view the inside of your home. Sometimes a small investment in upgrading your home can result in a quicker sale, but does not necessarily mean that you can ask for a higher sales price. Remember you want to sell property in Marbella, and you have already established a sales price, so even though making small investments do not give you the right to increase the price, it will give you an advantage on other home sellers. It is not just a great idea to upgrade your home for the sake of impressing your home buyers, it is also good in case a home inspection is needed to finalise the purchase contract. 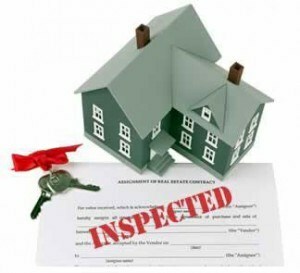 certified home inspector because most home lenders require it, but also to give the purchaser the peace of mind they are making a sound investment. The home inspectors will not leave a stone unturned so if you have a termite problem or a leaky roof, you need to deal with that before you sell your house, otherwise you might waste a lot of time with potential buyers only for the deal to fall through once they realise your home is not what it says on the tin! Sounds horrible, doesn’t it? Well, it does, but studies have shown that properties that have no “previous owners artefacts” in them will sell 20% faster than those that have all their family photos, kids room decorations, artefacts and collectables on show in every room. You will need to mentally “move out” of your home before you have even sold it, and treat your home as a showroom rather than your private home. One way to do this is to go through every room and take out everything that makes it “you”. Children’s rooms need a makeover, no fancy coloured walls, keep to plain and simple, like a blank canvas so your potential home buyer can really imagine what it would look like with their own personal tastes and decorations. cabinet, but your potential buyers might not be as enthusiastic about this collectable at all. And your cute little french bulldog might be your world, to someone else they might be a pest that gives them an allergic reaction. All this will make a potential buyer switch off the minute they walk in and make them unable to imagine what it would be like for them to live in your home. 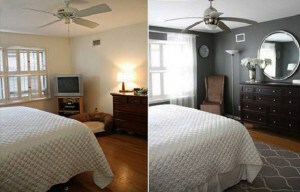 Declutter, degrease and de-personalise your home will give you a better chance of a quick sale. Deciding on a fair sales price for your home is never easy. You might think it is worth millions with all the memories you have created in your sanctuary, but for a new property buyer, your home is just a shell, 4 walls and a garden, and that’s how you have to see it too. Many people think they will save a lot of money by not hiring a realtor for the sale of their home, and you would be correct if you had a bad real estate agent, but if you hire a good real estate agent in Marbella, they can actually save you money as well as time! You need to make sure the price of your property is fair compared to what others in the area are selling for, and no one other than your local realtor can give you a fair answer for this. They have been selling properties in your area for a while now and they know what price is reasonable to ask for. Realtors will receive a percentage of the sales price of your home, this percentage varies per real estate so it will pay shopping around, but don’t be greedy, if you pay peanuts, you will get monkeys, and what you need is someone with the experience and database to be able to sell your home fast! These days, the first thing a home buyer will do when they have decided to purchase a new home is going online and look what’s on offer. If your property has none or very bad photography, the most likely thing that will happen is that your potential buyer will just skip your listing and move on to the next. What point was all that upgrading your home, and depersonalising it when you now have no good imagery to show it off to those that are looking online? Great images will increase your chances of people actually moving away from the comfort of their own home to view yours by a staggering 50%! And not just still images are required these days, as the internet evolves, people get more and more lazy, they don’t want to read anymore, they want to be shown, so if you are investing in a multimedia package, do it right and include a nice video of your home along with an interactive virtual tour. Not only will this keep away the time waster who could not really see the details of your property by just your images, but it will also increase visits from seriously interested buyers who have seen all your presentations and are genuinely interested in your property. No matter what country you live in there is one constant when it comes to selling your property and that is that the majority of people are looking to buy a new property in spring. The weather is great, young families have summer holidays coming up to move in peace and most people have been able to save up over the winter or have a summer holiday bonus coming their way so will have more money to spend. Don’t just put all your chips on an April/May purchase though, serious home buyers and especially investors are looking for new property all year round, but statistics have proven that more sales are achieved during springtime than any other season and that even counts in a seaside resort such as Marbella. There are many factors that contribute to selling property in Marbella faster, but these 6 guidelines above will point you in the right direction and will make the sale of your property that much easier and faster. Not wanting to do all this yourself? Contact Space Marbella and they will point you in the right direction to Home Staging companies who will gladly look after your home makeover for you so you don’t have to!